Promises of jobs and investments in America - BROKEN. In May of 2017 AT&T CEO Randall Stephenson being interviewed by the Dallas News promised that if the corporate tax rates were lowered AT&T would create 7,000 good, hard hat jobs for every billion dollars invested. The corporate tax rates were lowered from 35% to 21% and AT&T has received BILLIONS of dollars in tax payer money. Yet they continue to offshore and outsource work and refuse to give concrete details on where those ‘good, hard hat jobs’ are. You can read the Dallas News article and watch the original video by clicking here. Here is another great video that has been viewed over 1.4 MILLION times that talks about the damage being done by AT&T as it continues to offshore work away from American families. The overwhelming majority of Americans are against the offshoring of work. There are bills currently stalled at both State and Federal levels that need to be passed. The money being used by corporations like AT&T to lobby against this legislation is against the will of the American people. It’s time to show the politicians who they work for. 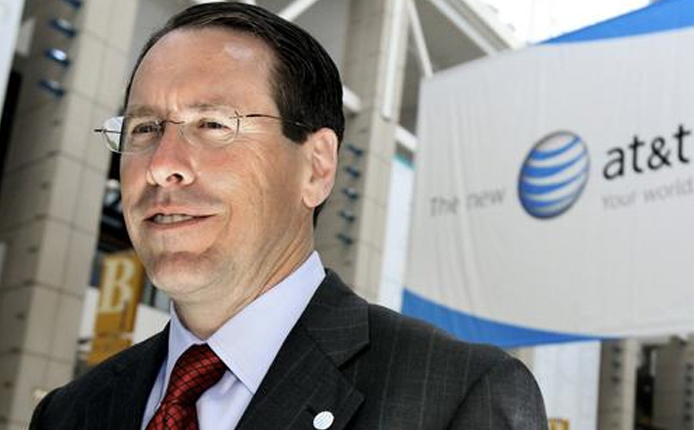 AT&T CEO Randall Stephenson promised to create "7,000 good jobs for the middle class" after Trump's tax cut was passed, yet the company has been laying off thousands of workers and shipping those jobs overseas to India, China and other countries where workers can be paid less than $2 an hour. This is what a rigged economy is all about.